Today’s Time Killer: Can you find the order? My goal is always to entertain and educate, and this week’s Timekiller is an exercise in loglines. “What’s a logline?” you might ask. Good question. I should answer that before we proceed. 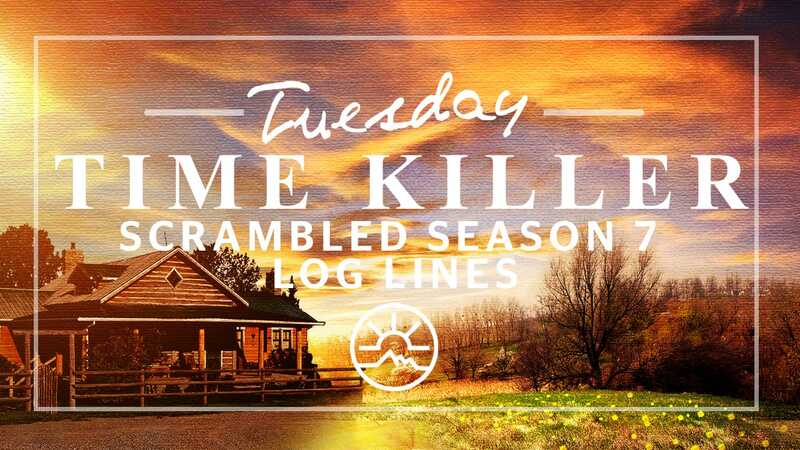 Before a television production (as in Heartland) sends their finished episodes to their broadcasters (as in the CBC) they have other things that have to be delivered as well and one of these things is a synopsis and a logline for each episode, which explains in a nutshell what the episodes are all about. It might not cover off the entire storyline of an entire episode, but it certainly gives the reader a good idea of what the main storyline is!! So, that being said, er, written, here are the 18 loglines for each of season 7’s episodes. But of course, in true Blog Whisperer chicanery, I have scrambled them so they're out of order. Your assignment, should you wish to tackle this time killer, is to arrange them in the correct order, by placing the letters of each of the following in the comments below, in the correct order. Simple, no? Well… yes, as long as you are up on Heartland’s season 7. A: Logline: Family members are pitted against each other over Amy’s medical treatment as she struggles to come to terms with her injuries and uncertain future. B: Logline: Lou and Tim find themselves on opposite ends of a fight when Tim attempts to rebrand Maggie’s into a soulless fast food franchise. C: Logline: Amy and Ty find the ranch of their dreams, while Peter attempts to mediate when Georgie and Olivia come to blows. D: Logline: When Ty brings a maltreated Tennessee Walker to Heartland to convalesce, Amy goes undercover in order to bring its abusers to justice. E: Logline: As Amy and Ty work to help a mare and foal through a difficult weaning process, Mallory’s discovery that Jake is planning to leave Hudson forces her to re-examine the choices she has made. F: Logline: Amy and Ty are at odds over Ty’s risky investment in a barrel racing horse, and things become increasingly complicated when Amy starts working closely with Prince Ahmed. G: Logline: Georgie is enthralled when she sees one of Amy’s clients trick riding and she’s determined to pursue it despite Lou’s misgivings. H: Logline: Amy’s success working with a high-end show jumper ultimately puts her life in jeopardy. I: Logline: Amy works with a horse to help it overcome its fear of water, but sparks fly when Jack learns the horse is owned by a former flame. J: Logline: When a family vacation is cancelled at the last minute, Jack and Georgie head off for a long-awaited fishing trip that lands them in a situation they hadn’t bargained for. K: Logline: When Tim goes through a mid-life crisis and buys a hot horse instead of the more traditional hot car, Amy has no choice but to do some dad whispering to help him come to his senses about his new horse and his life. L: Logline: When a road trip goes awry Jack and Lisa find themselves lost in the woods, but a trip down memory lane may just help them find their way together. 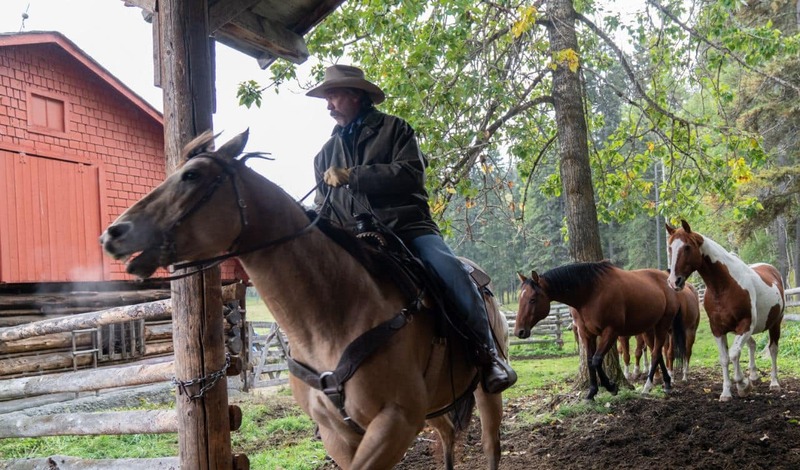 M: Logline: Amy attempts to help a young RCMP constable overcome a personal challenge to fulfill his lifelong dream of performing in the RCMP Musical Ride. N: Logline: Ty forces Amy to confront her fear and work with the horse that injured her in order to save its life. O: Logline: As the family struggles to cope with recent changes at the ranch, Amy comes to realize she has to focus on returning to her work with horses. P: Logline: Amy works with Ty and Caleb’s barrel racing horse and ends up riding him in a high-stakes Futurity. Q: Logline: When an old friend turns to Ty for help, Ty is torn between his ties to the past and his loyalties to his family at Heartland. R: Logline: Amy’s client list has dwindled to next to nothing since her accident, so the recently returned Lou convinces her to hold a “comeback” clinic to reboot her career.